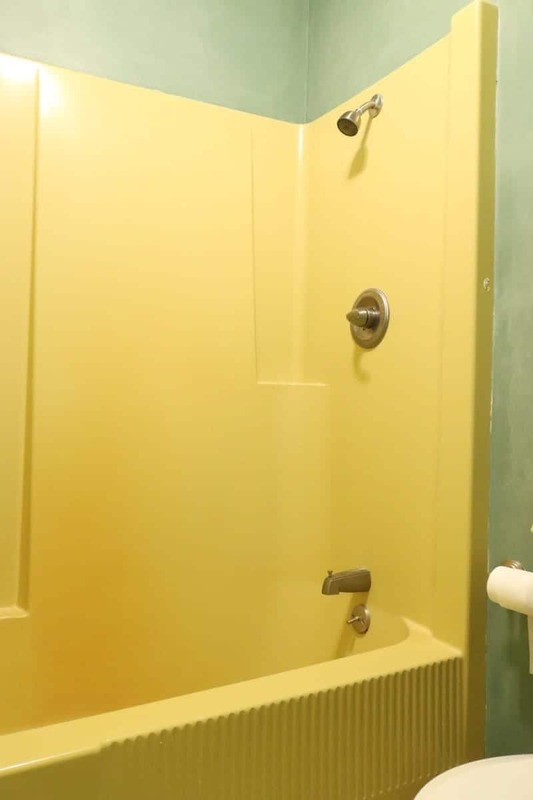 This bathroom remodel has been twenty years in the making. When we bought our 1970’s ranch style home in 1996, it was pretty much in original condition. Which translates to “dated”: an Avocado Green kitchen, a Harvest Gold bathroom, shag carpet, bad wallpaper, odd lighting fixtures, and dark wood trim, just to name a few features. Over the years, we’ve put on an addition and updated almost everything. 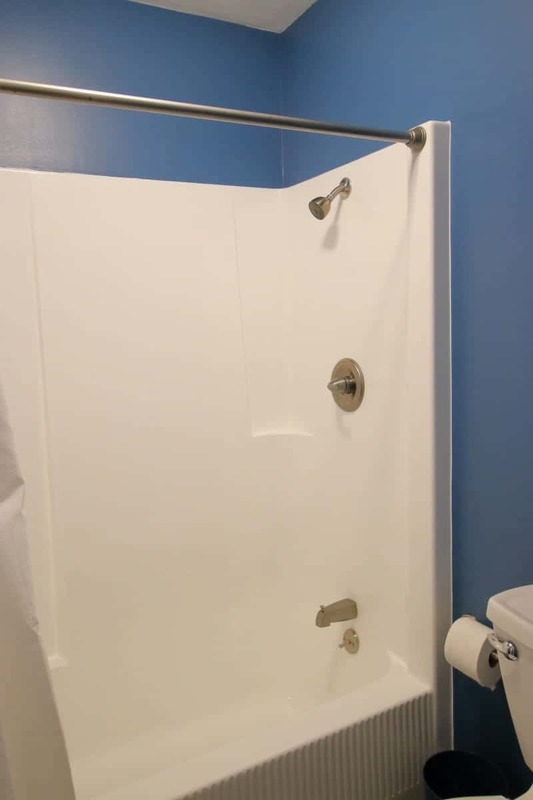 Except for the 1970s bathroom. But, it’s finally done!! 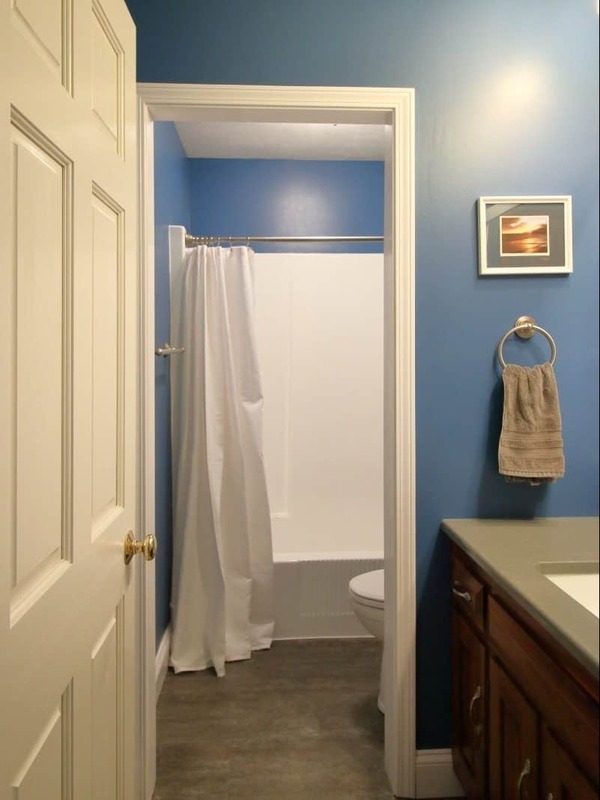 Here’s a quick recap on this project: we hired a remodeling contractor to complete several projects around the house, including the kitchen and this bathroom. We picked out ceramic tile for the shower walls, porcelain pavers for the floor, quartz countertops, etc., while the contractor worked on the kitchen. We even ordered the vanity countertop. And then he stopped showing up. We realized we had two choices: try to find another contractor and wait for him to be available, or do the work ourselves. We decided to do it ourselves, so we scaled down the project, adjusted the design and completed the remodel. Here are a few of the before and after pics. View from the hallway back to 1977. View from the hallway in 2018! Harvest Gold fiberglass tub/shower unit. Hello, 1977. Same tub/unit, but now it’s white. Magic! 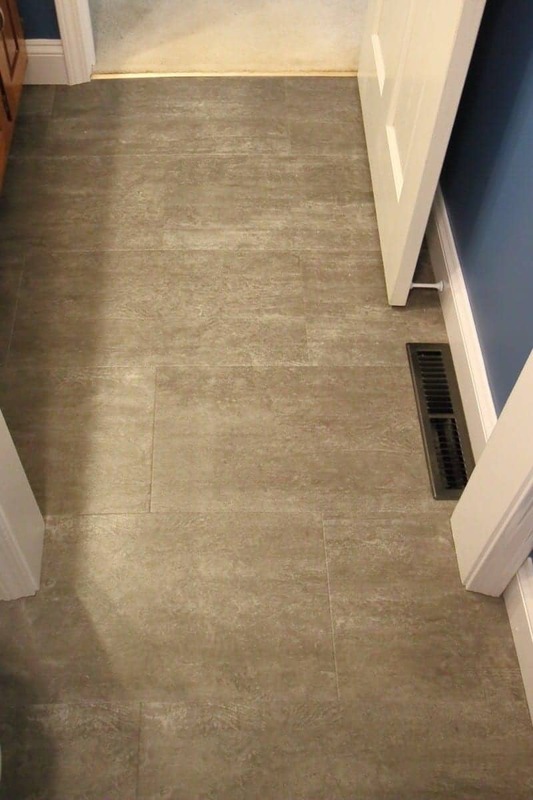 New luxury vinyl tile floor. Pretty, pretty, pretty. 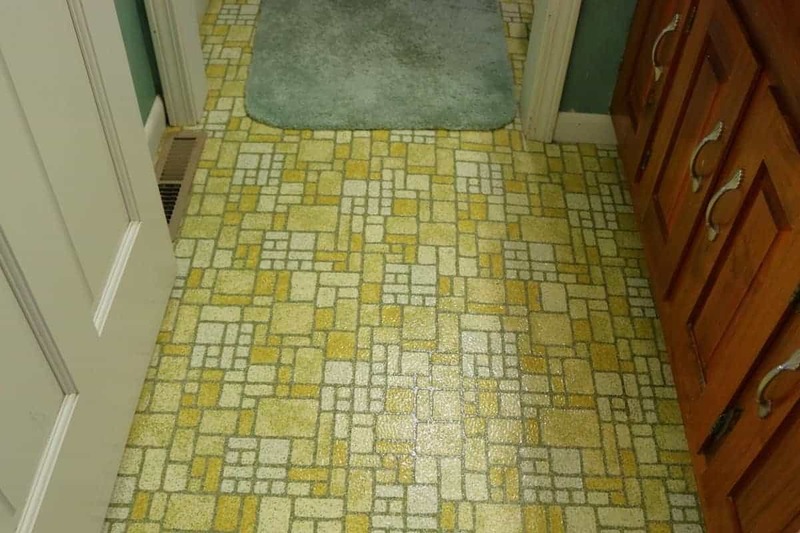 My 1970’s Bathroom Remodel – Before – be sure to check this one out for all the Harvest Gold your eyes can stand! 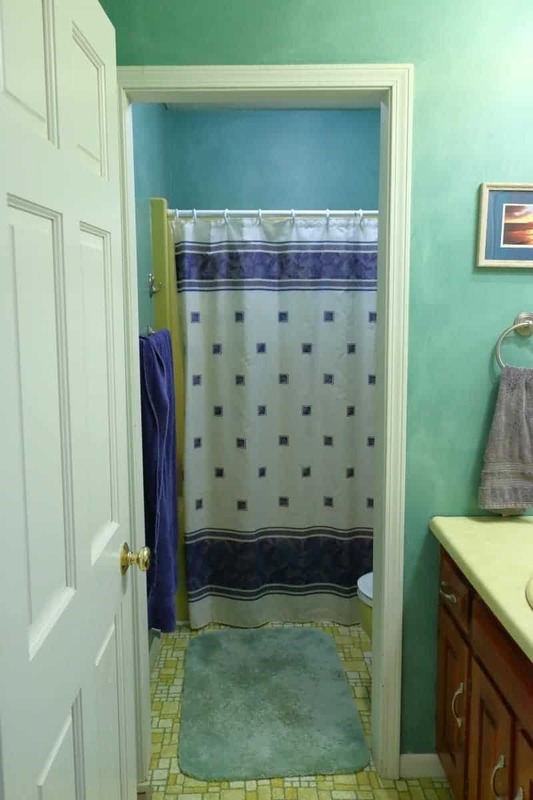 Hopefully, this bathroom remodel will last as long as the original.